Do you struggle when running on uneven ground? Does every twist and turn of the terrain have you worrying that you'll injure your ankles or fall over? Do you find that you ache every time you run off-road? 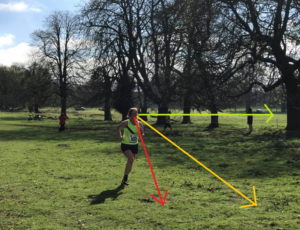 Running comfortably and efficiently on trails is so much easier with good technique. If you can get it right, you'll feel more confident and your runs will be so much more enjoyable! Whatever it is that challenges you about trail running, I can help. Take a look at the 'Trail skills' session below, or contact me if you'd prefer some one-to-one coaching. 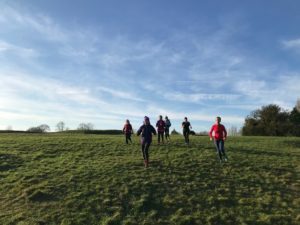 Come to this 90-minute 'Trail skills' session and you'll learn the most effective techniques for running on uneven ground, including what to do with your arms, your legs and your feet. You'll also find out how to gain agility, confidence and speed when running across rough terrain! 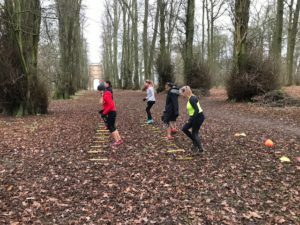 'Trail skills' sessions take place all year round at weekends, and on weekday evenings in summer too, at various locations in the Newark / Grantham / Lincoln areas.